Rice cookers are a great way to get the basic backbone of your meal cooked without fussing over a saucepan or worrying about overflowing water. The most common choice for these set-and-forget appliances is a cooker with a capacity of 1.8 liters and above. This works well for larger families but how about if you’re a single student living in cramped accommodation? How about if you’re a newlywed couple or you’ve only got 2 or 3 family members? 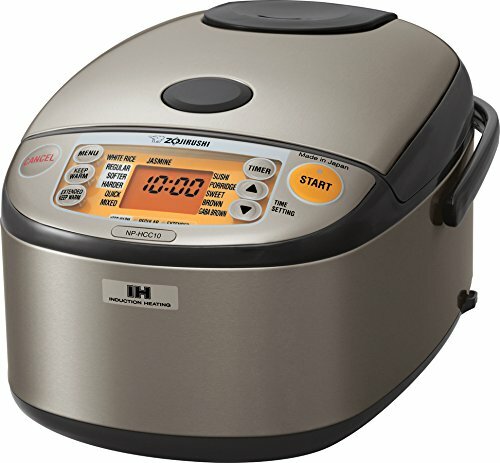 This fuzzy logic rice cooker from a highly reputable brand allows you to make from ½ cup to 3 cups of rice and won’t eat up too much room on the counter. Whether you want brown or white rice, sushi rice or even steel cut oatmeal, the intelligent cooker does all the hard work for you. 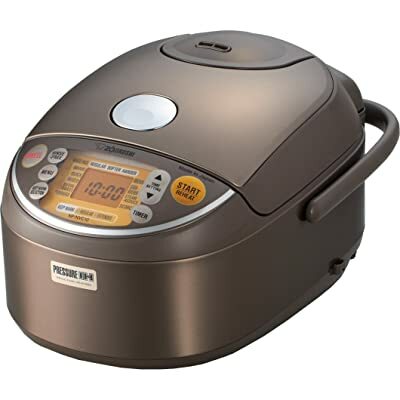 If money is no object, this combined rice cooker and warmer, again from Zojirushi, is the obvious choice. A compact appliance, you can cook smaller batches of rice or as much as 5 ½ cups at the upper end giving you plenty of versatility from a manufacturer you can rely on. Our budget pick also comes from Zojirushi since they dominate the rice cooker space so completely. Small but perfectly formed, this mini rice cooker capable of whipping up 3 cups gives you everything you need and nothing you don’t at a highly attractive price-point. I. Why Should You Buy a Small Rice Cooker? Before we get down to business with our small rice cooker reviews, we’ll give you a snapshot of some of the main reasons you should consider one of these scaled-down units. Now you can see some of the manifold advantages small capacity rice cookers can bring about, it’s time for the main event with our top 10 models from a range of manufacturers and in varying sizes so there’s something for all tastes and budgets. ​First up in our small rice cooker reviews is one of a handful of Zojirushi models we tested out over the past week. Thanks to fuzzy logic technology, the rice cooker will make adjustments so that whatever type you’re cooking is optimized according to type and volume. You’ll also get a neat interface that’s easy to navigate and lets you choose from white or brown rice through sushi rice and steel cut oatmeal. 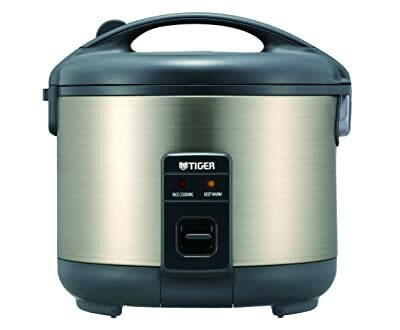 A small capacity rice cooker, you’ll be able to cook just ½ cup if you want a quick snack without standing on ceremony and you can whip up as much as 3 cups if needs must. You’ll get a decent batch of accessories thrown in and the design is ideal to ensure even heating throughout. There’s a neat steam vent cap so you won’t end up with rice and water all over the countertop and there’s even a carry handle and retractable cord showing magnificent attention to detail. Next up we’ve got a much more expensive model, again from from Zojirushi, and this time with the robust functionality of an induction heating cooking system with an integrated warmer. It’s certainly not cheap but the best things in life rarely are. This model would have been our overall winner were it not for that ruthless price tag. 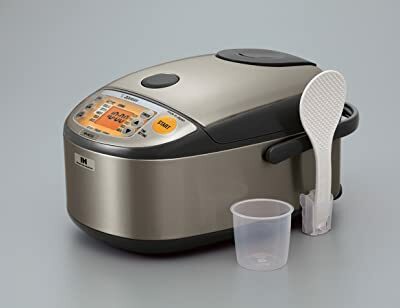 The potent induction technology underpinning this rice cooker gives you a quick and even heat that means you won’t be waiting for an eternity for your rice once your sauce is cooked. And, once cooked, you won’t need to mess around with any settings as the Zojirushi maintains it at proper serving temperature saving you from the health risk of reheating room temperature rice. The attractive orange screen is a cinch to read while you can pop the inner pan out to make clean-up a cakewalk. If you’ve got a fluid budget and you’re looking for arguably the best small capacity rice cooker on the market, this model takes some beating. Whether you live alone, have a smaller family or you just have limited kitchen real estate and too many appliances already, roll with the 3-cup Zojirushi and you’ll see that good things can come in small packages. This is a user-friendly model where you literally just hit a switch and you’re good to go. It’s perfect for anyone not too comfortable with tech. If you often need to move your rice cooker around, the stay-cool handles let you do so safely and easily. The transparent lid allows you to keep an eye on proceedings without removing it and the cooking time is brisk so you’ll be chowing down in no time. For a price-driven model that doesn’t stint in terms of overall quality, this 3-cup small capacity rice cooker was a no-brainer pick for our best budget model. Next up we’ve got a mid-range model from Tiger which functions as a cooker and warmer combined. You can choose from 5 different sizings to suit but the smaller 3-cup unit is inkeeping with our focus today on small capacity rice cookers. If the sleek black and chrome finish is not to your taste, you’ve got a couple of florally embellished white designs to liven up the kitchen instead. This is a nice touch since rice cookers generally look pretty unappealing. The only real downside is that this is a relatively bulky unit even though it’s only a 3-cup cooker. If you’ve got the space to accommodate it, though, it’s obviously a non-issue. The steam vent slips off for easy cleaning and the cord retracts neatly to streamline storage. 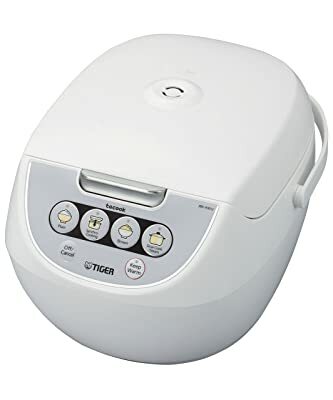 If you’re looking for a top-notch small capacity rice cooker that’s super-simple to use, we can’t recommend the Tiger strongly enough. 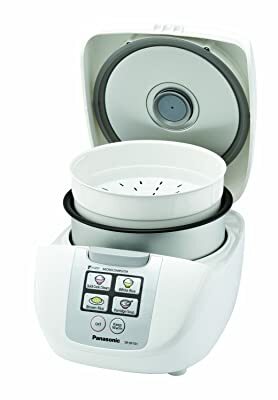 One of the key selling points with this steamer/cooker combo is the way you can simultaneously whip up your main course and rice saving time and effort. You’ll get a cooking plate and spatula thrown in along with a recipe book to help you with some ideas if you’re tired of the same old same old. 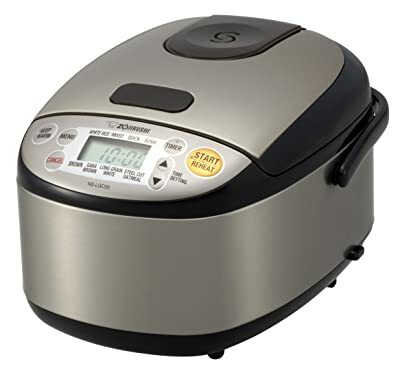 Whether you’ve got a smaller family or you live on your own, this excellent small capacity rice cooker is a great way to save space in the kitchen while also offering far more flexibility than a standalone rice cooker so what’s not to love? 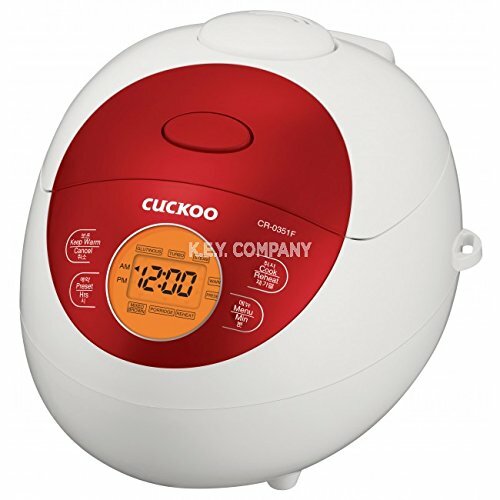 Another pocket-friendly small capacity rice cooker is up next, this time from Cuckoo. Packing fuzzy logic, this simply means the rice cooker will fine-tune cooking so whatever type of rice you cook will be evenly finished. The only qualification we’d make here is that brown rice is something of a disappointment despite the marketing literature to the contrary. 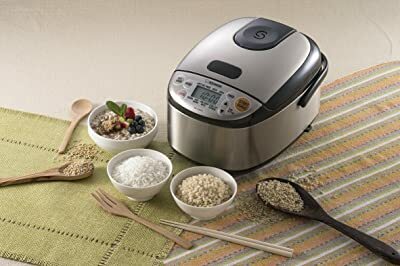 If this forms a staple part of your diet, we’d suggest you check out one of the other rice cookers we review instead. The inner pot is Teflon-coated and will help ensure you don’t end up with grains stuck all over the inside when you’re done cooking. For a colorful and no-nonsense rice cooker majestic in its simplicity, road test the Cuckoo and, as long as you favor white rice, you’re in safe hands. 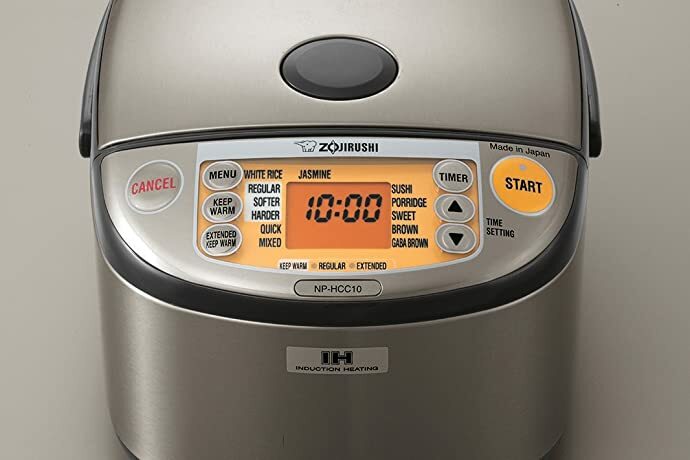 As we edge toward the end of our small capacity rice cooker reviews, we’ve got yet another model from the stellar Zojirushi. This brand has such a stranglehold on this space that we can’t help but choose a number of units from their truly impressive range and this 5 ½-cup cooker is another home run. You’ll get far more than a rudimentary rice cooker with this 5 ½-cupper. You can steam while you cook your rice and there’s also both a warming and reheating cycle. You can even bake cakes in the Zojirushi and the best thing of all? The lid slips out so you can clean up in a flash, too. If you’re looking for a truly versatile cooker from a brand you can rely on, we’d seriously suggest you pop this small capacity unit on your shortlist. No prizes for guessing what brand is up next… That’s right, yet another Zojirushi classic! Be warned, this is not a budget model so if you’re looking for a cheap rice cooker, check out one of the more reasonably priced models we tested. If you have the cash to splash, though, you won’t regret investing in this hard-hitting induction model. A wealth of settings give you the freedom to cook just about any type of rice with fuzzy logic so you can sit back and wait while the cooker does all the hard yards. Whether you want to dial back the steam or to scorch the bottom of the rice, the world’s your oyster with this awesome cooker. Once you’re done, you can keep your rice warmed for over an hour, ideal for extended meal times. As the name makes abundantly clear, you’ll get far more than just a rice cooker here with the Instant Pot. Along with a pressure cooker and slow cooker, you can steam and sauté your food as well as warming it through. With the slow cooking side of things, you can program in a delay of up to 24 hours so you can stave off cooking then come home to a delicious meal leaving you to do nothing except whip up some rice in this superb small capacity cooker. Heating is consistent and even and you’ll get a real fluffiness to the rice that puts many more expensive models to shame. 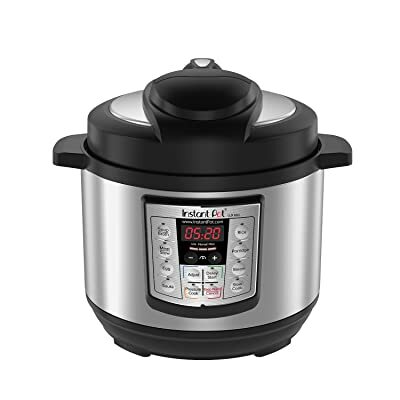 If you’re working to a limited budget but you’re not prepared to compromise quality, this is a first class rice cooker at a third class price so check out the Instant Pot at your earliest convenience. To kick off with a negative, a few disgruntled users have moaned about rice that’s soggy in places and burned in others. This appears to happen when cooking a very small amount of rice so if you tend to cook just ½ cup on a regular basis, you might be better advised considering one of the other models we looked at. 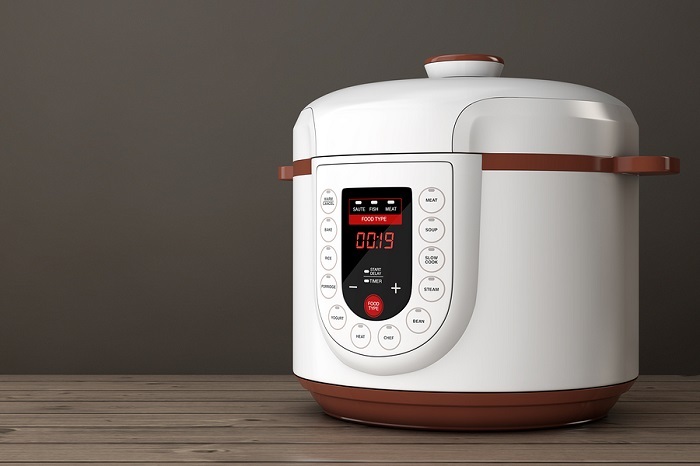 The Ai underpinning this rice cooker gives you a very user-friendly experience and you’ll need to put in little effort to get well-cooked rice in fairly short order. You’ll be able to deal with both white and brown rice but functionality is relatively limited. If you’re on the trail of a simple but effective small capacity rice cooker from a brand you can trust, the Panasonic is a smart choice. 1) What are the advantages of induction heating technology? 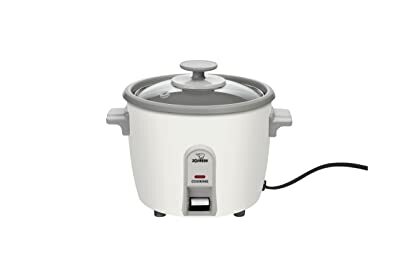 The manufacturers should make it abundantly clear if the rice cooker makes use of induction hearting technology and you can always look out for the IH Logo that will adorn models using this form of cooking. IH is a non-contact method of cooking with pulses of radio electricity sent through a conductive material. With rice cookers, you get that conductive zone built into the inner pot so it acts as an efficient heat conductor. This form of cooking allows for rapid changes to temperature and since the whole pot becomes a heating element, you’ll get the rice cooked more rapidly. Cooking is also more even with the end results tending to be fluffier and more appetizing so keep an eye out for that IH logo! 2) What is a fuzzy logic rice cooker? 3) What is inverter technology in a rice cooker? With inverter technology, the cooking temperature is precisely adjusted according to the stage. While soaking, it’s kept at the right temperature to maximize absorption. The net result is an extremely efficient and accurate way of getting your rice perfect and fluffy every time with very little effort on your part. 4) How much water should you use with your rice cooker? This varies according to the type of rice. With soft rice, go for 2 cups of water for every 1 cup of rice. Use a ratio of 1-½ cups to 1 cup with firmer or Basmati rice. Ramp this up to just over 2 cups of water per 1 cup of rice when you’re opting for brown rice. 5) How long does it take to cook rice in a rice cooker? This will also vary according to brand and model. Allow anywhere from 20 to 60 minutes depending on what rice cooker you have. Each model will clearly state cooking times so you know exactly where you stand. 6) When should you stir the rice? The best time for stirring is directly before you plate it up. 7) How long should you soak your rice for before cooking? As a rough guideline, soaking rice for 30 minutes gives best results so try to plan ahead so you don’t skip this stage. 8) Why do you even need to soak rice in the first place? Not only will you shorten the cooking time, you’ll also end up with more flavorful rice if you take the time to soak it in advance. Beyond this, washing rice removes that thin layer of starch which tends to make the rice stick and clump together. For reasons of speed, taste and quality, soaking is a step you shouldn’t overlook. 9) Aren’t rice cookers an absolute nuisance to clean? In a word, no. You’ll be able to remove the pan so you can rinse and soak them easily without needing to contort your hands inside. Compared to using a saucepan that tends to get covered with sticky grains of rice almost welded on, rice cookers are very low maintenance indeed. Also, all the best small capacity rice cookers come with non-stick coatings so you’ll get far less mess in the first place. 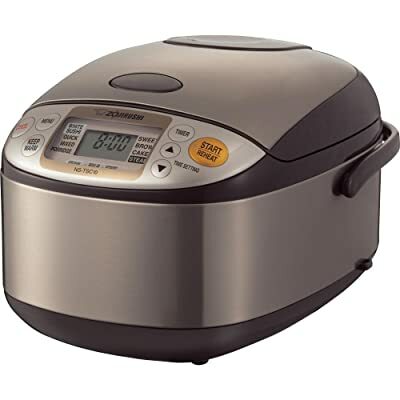 10) Is it essential to spend a lot to get a great rice cooker? Absolutely not! We’ve included small rice cookers across all price-points and it’s perfectly possible to get a real bargain without being stiffed in terms of performance or build quality. If you think carefully about your intended usage, it’s possible to get a rice cooker that will give you years of faithful service without needing to spend a fortune. We very much hope this study of small capacity rice cookers has clearly laid out why they work so well. We also hope you’ve seen the advantages of each type of cooker and you can also see that multipurpose models are readily available. Whether you’re single or you have a small family, whether you’re a student or live in a small apartment, you don’t need to go all or nothing with a rice cooker and the market is stuffed with great compact models. Roll with any on our shortlist and you’re highly unlikely to be disappointed. After all that cooking, you might need to stand up to aid digestion rather than sitting down on the couch. Luckily, we’re nearly done testing a staggering array of standing desks so you can do just that. Come back next week to see the results!